In order to know if your browser is compatible with X3D, it is sufficient to visit this page: http://x3dom.org/check/ (if you will see a cyan cube, your browser is compatible!). 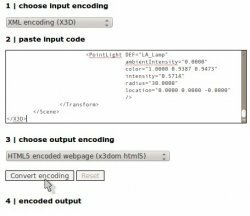 Besides is available here a tutorial very useful that explains how to export own Blender works and insert them in a HTML page. 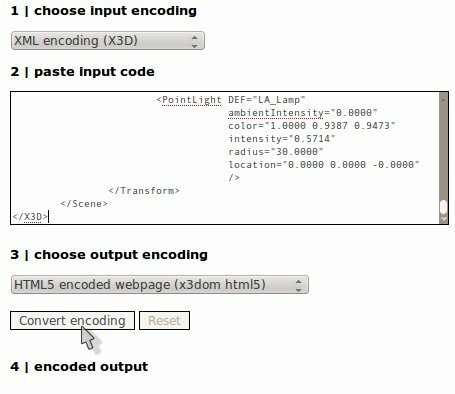 publish the output on your site: paste this converted text in your article or create a new HTML page and insert this one in a iframe. I copy all the resulting text below the 4 | encoded output point and save it in a file called invaso_converted_online.html. I make a new folder in http://my_site/sites/default/files/x3d and another inside this one called script, here I copy the two files x3dom.css and x3dom.js. I edit the HTML file and update the path containing the last two files copied and I save as invaso.html. Make attention in Drupal, you have to select PHP code as Text format. The 3D object works well, but there is a problem with the zoom effect that interacts with the scrolling of the page!